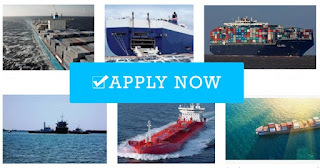 SEAMAN JOB INFO - SOLPIA MARINE is urgently opening hiring Filipino seaman crew join on bulk carrier, container, oil tanker ship with same vessel experience required. Kindly fill up this INFO. olpia Bldg. 2019 San Marcelino st. cor. Quirino Ave. Malate Manila. 0 Response to "Urgent Crew For Bulk Carier, Container, Tanker Ship Join January 2018"